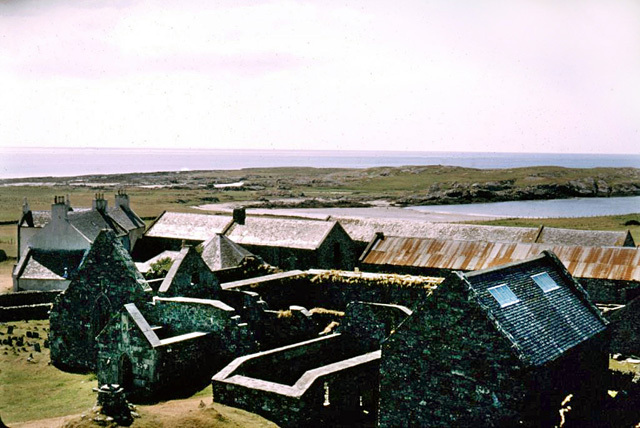 For the third successive year, the Junior Expedition spent two weeks on the west coast of Colonsay: that fact is significant because it is our usual policy to vary the sites, so that officers and boys have the greatest possible chance of visiting as many Hebridean islands as possible. As it turned out, only one of the entire company had been to Colonsay before, so we were able to view this much-praised island with unbiased eyes. In retrospect, I can only repeat all the praises that have been heaped upon it since we first went there. The site has so many advantages for the Junior expedition— it is easy (too easy?) of access; climbing, sailing and canoeing are within a few minutes' walk from the marquee, while the whole island can be visited within a day—or very nearly, as those who were stranded on Oronsay discovered! 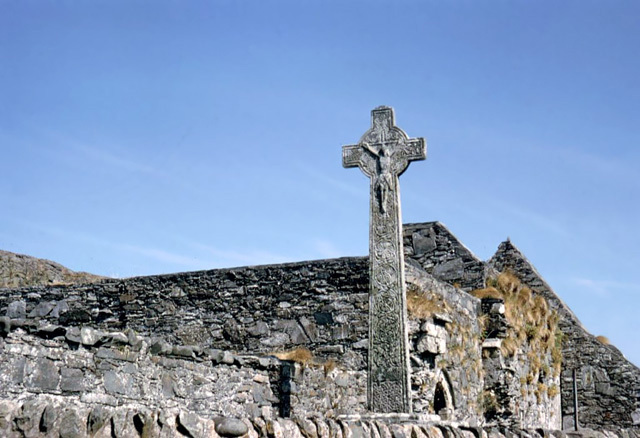 It is true that the beach is exposed to the south-west, but once again the weather was near-perfect throughout, and the spring, the "tobar fuar" after which the bay is named, will surely flow until some latterday Celtic Saint decides otherwise. During our stay, it was virtually the only drinking water still available on the south of the island. It will be clear that, as before, the Colonsay expedition proved successful, and from a Director's point of view, it was especially pleasing to find that the boys were such a splendid collection. I hope we shall see many of them in future years, because we were rid of the card-playing-in-the-Icelandic types which have been known to feature on previous expeditions! In passing, it is worth noting that we were the largest expedition yet, with twenty-nine boys from fifteen schools, including Choir, Comprehensive, Grammar, Preparatory and Public varieties! Apart from the natural advantages of the site, Colonsay has another asset in that one can get to know the islanders very well also—they deserve all the respect with which they are held by the S.H.S., for on an expedition where arguments rarely occur, much is due to their help, friendly interest, and composed calm which infect us so much in all that we do. Vinga was used for sailing and fishing on all but two of the days, one of which was the last, and the other the date of the “Round the Island" walk. We were able to leave her anchored in the bay, and all agreed that she was ideal for our purposes. We had four canoes, all of which seemed to be in general use, even if canoeing turned out to be harder work than some of the newcomers had realised. Roger went off on a canoe bivouac, and also organised the races, which were deservedly (?) won by Nicholas and Peter. Rock-climbing parties were out on the hills as often as possible under the care of the two Charles and Mark. 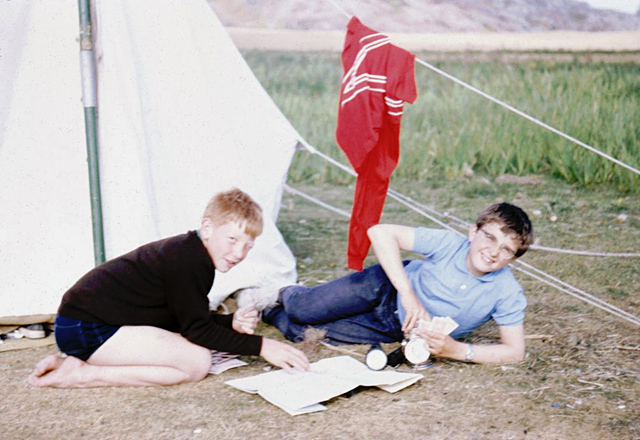 Only two boys couldn't be fitted into the "night away from camp" that proved most popular, although I remain unconvinced that these trips were always undertaken in the spirit which keen camping types might expect! However, they do allow a valuable escape from the fairly organised life at camp, as well as demonstrating to the non-schoolmasters amongst the officers how incredibly casual boys can be! All the interesting parts of the island were explored, outstanding among which were the Neolithic caves that have recently been discovered near Kiloran Bay. Such was the inspiration of that trip, that three boys spent the night there - and returned without a ghost story. Of project work as it is understood on the Senior expeditions, there was very little, much to the indignation of Paul Gill, but that seems to be the way of the younger groups, who have more interest in pottering and exploring than the others. In time, they will want that urge to be channelled into more disciplined study, but there seemed little desire for it amongst our group. At all events, bored people were rare specimens, and I remain certain that one of the great strengths of the Society lies in our easy approach to life: the chances are there, boys at a loose end can be prodded into things, but it is really up to each individual to take his opportunities. We mixed our activities with those of the islanders, as could be judged from the hundred or so people at the party in our marquee. 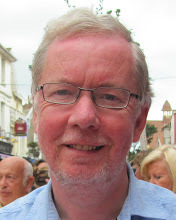 Roger played and sang at the concert and ceilidh; we lost both the football matches, but they were close things; we had revenge in the cricket; while our prayers were taken by both the Baptist and Church of Scotland ministers. So friendly was the island that I soon realised that I must adjust my ideas as to what S.H.S. expeditions were like, but the more informal mixing soon settled down and hardly interrupted the daily programme. The contact we make with the islanders is one of the best things we do, because only in that way can we really feel that we know the islands on which we stay. It is one of the things that mark us out from other groups of a similar type, such as the Scouts, who often seem to prefer to keep to themselves, although 1 cannot believe that to be their official policy. Once again, the Hebrides worked their message of peace and friendliness into the lives of us all, and more than one new officer commented on the amazing effect Colonsay seemed to have on the behaviour and general cooperation of the boys—familiar enough to some of us, but it does seem that strong-arm tactics, on the whole, are only necessary in the wrong environment. All of us who have led expeditions must have remembered that fact after returning to our modern lives, in which we sometimes seem powerless to effect our surroundings. As the Locheil sailed towards the blue hills of Jura and home, we all looked back on two weeks of interest and excitement, with new friends made and lessons learnt. I am sure we all felt we had come to know Colonsay as well as would be possible in so short a time, physically, intellectually (thanks largely to Tony's quiz, won by Section 1), and most of all, personally. An island none of us will forget. 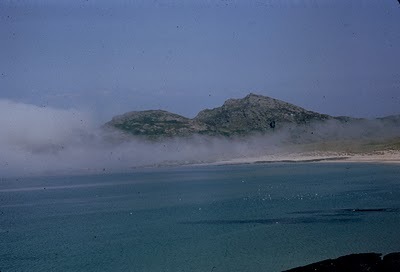 Brian Clegg was on this trip to Colonsay, this Blog was one of the few articles I found about the S.H.S when I searched the internet, reproduced here by his kind permission. Have young people lost out because of fear? When I was twelve I had one of the best holidays of my life. It was a school trip, or more accurately an inter-school trip arranged by an unlikely body called the Schools Hebridean Society. 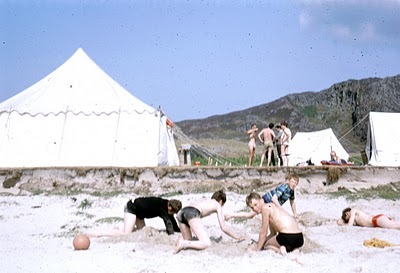 For two weeks, I joined a bunch of other boys and various leader types in a camp on a beach on the remote-ish island of Colonsay. It was absolutely fantastic. First there was the opportunity to experience life in a community that was probably 50 years behind the mainland. Though this wasn't in any sense a religious trip, we attended church each week (once each in the two island churches), because that's what people on the island did. Once a week we attended a ceilidh in the island's hall - Scottish dancing compulsory, but still somehow fun. It was remarkable. I'm generally not a great fan of the bagpipes, but one evening, as we were sitting on the white sand beach, a bagpipe was heard faintly in the distance - the piper came over the dunes and passed by us: quite magical. One last example of the experience. We all were expected to bivouac somewhere away from camp in groups of three or four sometime during the fortnight. Some caves had recently been rediscovered on the island (they were known in Victorian times, but had somehow been mislaid), and we'd had a visit to them. Our team of three decided to bivouac in one of the caves that was reputed to be haunted. (Well, sort of. A Victorian dog had allegedly gone through a small aperture in the back of the cave. It re-emerged yelping about an hour later with its tail singed after an encounter with Old Nick.) I have to confess we went to sleep with the Tilley lamp alight - but it was an experience I wouldn't have missed for anything. Now, first of all, they probably wouldn't allow 12 year-olds to go off on an all-male camp. They certainly wouldn't let us do the kind of activities we did. And as for three of us camping overnight in a cave... I understand why people are so protective of children, but there are times when a tiny risk could be repaid by a huge adventure. Build Your Own Time Machine and Gravity.